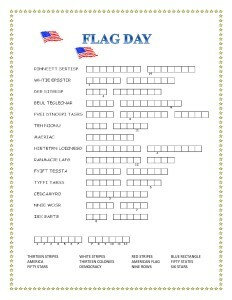 This exciting Flag Day Word Search & Double Puzzle is a great educational opportunity for the last Days of School. Flag Day is celebrated on June 14. 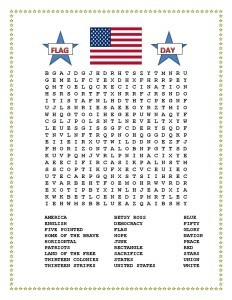 This word search will help you teach students about the significance of the stripes and colors of the American Flag. The American Flag is comprised of 13 stripes that symbolize the thirteen original English colonies. The fifty stars symbolize the fifty states.The stars are five pointed. 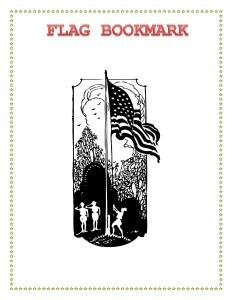 3)Flag Bookmark- Great keepsake for their summer reading.